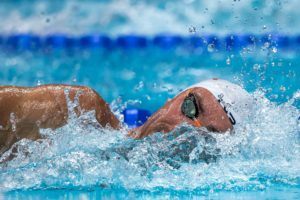 At a high-level, roster spots will be given to the top 3 finishers in the A final of each individual Olympic event at the Trials, provided the swimmers meet or beat the listed qualifying time. 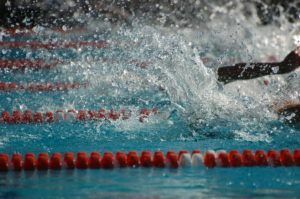 As for relays, the top 2 swimmers in the A final of each non-free 100 may be considered for the medley, while the top 2 in the 100m free and 200m free will be considered for the 400m and 800m freestyle relays. 3rd through 8th place finishers in the freestyle events may be considered for selection as relay-only swimmers. The non-Olympic events will see the top 3 finishers be considered for selection, as long as their A final performances meet or beat the qualifying times. These are considered the priority level 3. Priority level 4 includes swimmers who have met B standards, provided no swimmers met the A QTs. National record holder Emma McKeon kicked off day 3 quickly with a top seeded 100m fly of 57.94. Splitting 26.92/31.02, the two-time silver medalist here at these championships secured the center lane for tonight’s final, which looks to be her race to lose. The next Aussie in line behind McKeon and her training partner An Sehyeon of Korea (58.28) was Western Australia’s Brianna Throssell. On night 1 Throssell fell short of the 200m fly win, finishing 3rd behind Laura Taylor and McKeon, but rebounded with a surprise relay spot with her 100m freestyle personal best finish. Throssell is now positioned to take one of the top three spots in her bid for an individual event roster berth, if she can get nearer to the 57.64 A cut, or, at the very least, dip under the 58.48 B cut. 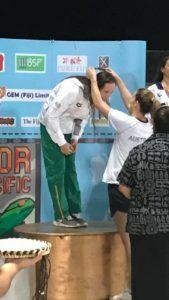 Taylor, who was admittedly surprised and visibly emotional after her 200m fly title win, is very much a contender in this race as well, earning a time of 58.91. According to the Swimming Australia times database, this morning’s race represents the first time Taylor has dipped under the 59-second barrier in the 1fly. Maddie Groves is also in the mix with her outing of 58.69. 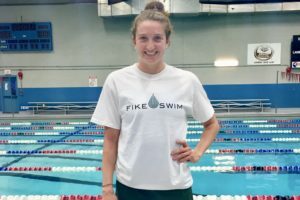 The Olympic silver medalist finished 5th in the 200m fly and is looking to stake her claim on a possible Commonwealth Games slot after a rough year involving her defending a string of missed doping tests. The men’s 200m backstroke prelim was on the quiet side, with 5 of the 8 finalists clocking times within .62 of one another. Bradley Woodward led the pack with a 1:59.05, just .05 ahead of national record holder Mitch Larkin‘s mark of 1:59.10. Behind Larkin is Tristan Hollard and Josh Beaver, who notched times of 1:59.13 and 1:59.21, respectively. All swimmers have some work to do come the final, where only a time under 1:56.11 will be automatically considered for selection. 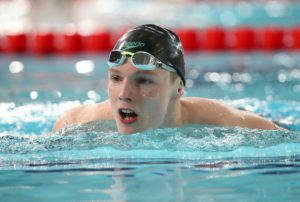 Another name to watch is Jack Cartwright, the men’s 100m freestyle silver medalist from last night. 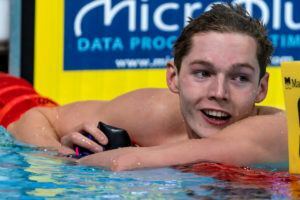 Cartwright finished out the final in the men’s 200m freestyle and it was revealed the 19-year-old suffers from the same supraventricular tachycardia situation as his sprint rival Kyle Chalmers. After a mild cardiac episode after the 200m free, Cartwright was cleared to compete in the 100m and now this 200m backstroke where he’ll fight for another roster spot. The silver medalist in the women’s 100m breaststroke started off strong in this 50m sprint, with Leiston Pickett taking the pole position with the only sub-31 second outing of the field. 30.77 is what the 26-year-old produced with her morning swim to put her hat in the ring for a national title. Behind her is Jessica Hansen, the bronze medalist from last night’s 100m distance. Hansen clocked a speedy 31.00 for seed #2, with 100m breast title winner Georgia Bohl touching just .04 behind in 31.04. Hansen has already proven she has 30-point material, given the fact she currently occupies the 5th spot among the world rankings with the 30.85 she produced at NSWs. 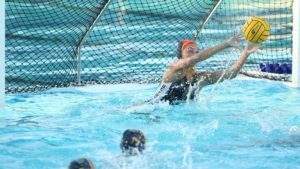 Not to be overlooked is Chelsea Hodges of Southport Olympic, situated as the 4th seed at just 16 years of age. Hodges nabbed a morning time of 31.36 to already obtain a new personal best, beating the 31.78 she clocked at the World Junior Championships in Indy last summer. James McKechnie of StarPlex cranked out a solid 27.02 to claim the top seed in the men’s breaststroke splash n’ dash, ahead of 100m breaststroke title winner Jack Packard. For his part, Packard also raced nicely to warm-up for tonight’s final, claiming the 2nd seed in 27.29. Tommy Sucipto and Grayson Bell also notched sub-28 second efforts in 27.56 and 27.72, respectively, while the 200m breaststroke victor and Commonwealth Games qualifier Matthew Wilson will also appear in tonight’s final. With 200m IM rock star Emily Seebohm opting out of this event for these Trials, the nation of Australia is in need of a reliable, consistent 200m IMer to represent the green and gold at its home Games. Young Kaylee McKeown seems primed potential 400m IM stardom, but the 200m sprint is seeking a swimmer to break through and snag the A cut. In the meantime, 21-year-old Meg Bailey acquired a B standard, earning a morning time of 2:13.28 for the top seed. That’s a big personal best, slicing well over a second off of her pervious PB of 2:15.05. Veteran IMer Blair Evans was right behind in 2:13.88, a mark representing the Western Australian’s 3rd best time of her career, while 200m breaststroke queen Taylor McKeown (Kaylee’s older sister) is also ready to make a move in tonight’s final having secured a 3rd seed in 2:14.73. The men’s 200m IM field held their cards close to their chest, as no one dared to delve into the sub-2 minute territory this morning. Clyde Lewis established himself as someone gunning for the title, taking the top seed in 2:00.46, over a full second ahead of his competitors. Brisbane Grammar’s Jared Gilliland produced a solid outing this morning, notching a time of 2:01.73 to fall just over half a second off of his 2:01.18 entry time. But the real threats to Lewis’ quest are lurking in the 3rd and 4th seeds, as Marion’s Olympic finalist Travis Mahoney and backstroking ace Mitch Larkin are waiting to pounce when it really counts. This morning Mahoney did just enough in the form of a 2:01.74 to move into the middle of the pack, while Larkin was well off his best in 2:02.89 shortly off his 200m back race. Larkin especially has been hot in this 200m IM event as of late, having clocked a new personal best of 1:58.89 last December en route to the Queensland title. His 1:58.89 remains situated among the top 10 in the world so far this season. That performance helped solidify the 24-year-old’s decision to include this 200m IM in his event repertoire for the Gold Coast. Bond swimmer Brayden McCarthy has staked his claim on the 100m fly event, ripping the 2nd best time of his career in 52.22 to be ‘the hunted’ in tonight’s final. Splitting 24.82/27.40, McCarthy came on strong on the back half, perhaps hinting at a little left in his tank for the showdown with Olympians Grant Irvine and David Morgan. His time also dips under the B standard, which bodes well for the teen. McCarthy came up short already here with a 4th place finish in the 50m butterfly as well as a 15th place result in the 100m free, so McEvoy’s teammate is on the prowl big time for his first possible Games berth. For their part, Irvine and Morgan are situated where they need to be, with the former having notched a solid 52.51 to Morgan’s 53.05 for the 2nd and 4th seeds, respectively. 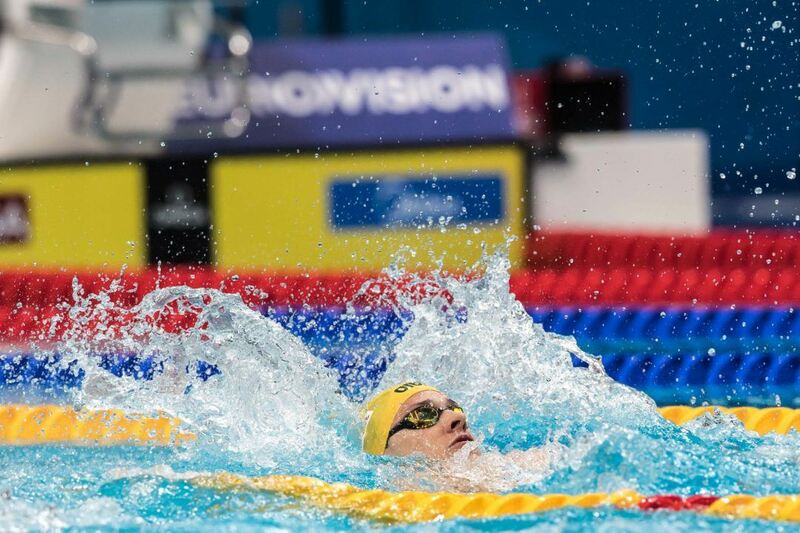 19-year-old Theo Benehoutsos is also right there at the top, as the Greek-turned-Australian swimmer produced a mark of 53.04 to become a challenger. That’s the best time of the young Melbourne Vicentre athlete’s career. Not too much was revealed during this morning’s 200m backstroke prelim for the women, save for the fact that half of the top 8 are teenagers. Kaylee McKeown (16), Minna Atherton (17), Amy Forrester (19), and Elyse Woods (19) all made it back to tonight’s final, which bodes well for the future of Australia’s women backstrokers. McKeown especially has shown big promise over the past year, smashing an Australian age record of 2:06.76 for a huge 4th place finish at the 2017 World Championships. McKeown also claimed the NSW Championships title last January, producing a speedy 2:08.57 to sit among the world’s top 5 in the event. She appears to have taken over the title of ‘rising star’, at least temporarily from a once red-hot Atherton, the 17-year-old triple gold medalist from the 2015 World Junior Championships whose performances has cooled as of late. In contrast, multiple Olympic medalist and World Champion Emily Seebohm has been on-fire this meet already, earning a quick mark of 58.90 earler in the 100m back. She holds the top spot entering tonight’s final in this longer race, with a casual 2:11.33 that’s sure to take a big time dive during tonight’s final. 22-year-old Hayley Baker is looking to put up a fight as well, having finished with the silver behind Seebohm in the 100m sprint. She is positioned as the 3rd seeded swimmer in 2:12.18. The women’s 800m freestyle will be included in finals recap, as final heat remains. Kaylee McKeown upsets Seebohm in the 200m backstroke by 0.01 insane because including Baker all three could have won the race in the end.